The title of this article perfectly describes our dream scenario for the future of CelebrityNetWorth. Step 1: Spend a few years building up a website that attracts a massive loyal audience. Step 2: Sell out for hundreds of millions of dollars. Step 3: Spend a few years visiting the world's most exotic beaches with a private jet full of Russian prostitutes. Step 4: Just when you're starting to grow tired of the Russian prostitutes and sun burns, buy your beloved website back for a measly $1 million. Sound too good to be true? This is exactly what happened to Michael and Xochi Birch, the founders of social network Bebo.com. Minus the part about the Russian prostitutes. As far as we know. Considering the fact that you've probably never heard of Bebo.com, it may come as a surprise to learn that back in 2008 it was one of the largest social networking sites in the world. Bebo, which stands for "Blog Early, Blog Often", was founded by husband and wife programming team Michael and Xochi Birch in 2005. Bebo was especially popular in the United Kingdom where it was larger than AOL.com, Amazon and the BBC in terms of daily traffic. It was also the number one most visited website in all of Ireland and New Zealand for several years. It was the third most popular social network in the United States behind Myspace and Facebook. At its peak, more than 45 million registered users visited the site every day to upload photos, chat, blog and update their statuses. Back in the middle of 2008, the biggest social network on the planet was Myspace. The Newscorp-owned Myspace was the most visited website in the entire world ahead of MSN, Yahoo and even Google. At the time, Newscorp CEO Rupert Murdoch looked like the most brilliant corporate leader in history, for purchasing the up-and-coming Myspace three years earlier for a measly $580 million. Facebook was on its way to becoming the dominating force it is today, but the 24 year old CEO, Mark Zuckerberg, had recently made it clear he was not interested in selling after he turned down a $2 billion cash offer from Yahoo. Meanwhile, AOL was desperate to use its massive stockpiles of cash to make a big splash into the world of social networking. Randy Falco had been the CEO of AOL for a little over a year and a half when he first approached Michael and Xochi Birch about acquiring their baby, Bebo. During his brief time as CEO, Newscorp's seemingly brilliant $580 million acquisition of Myspace had become the envy of every internet titan in the world. Dozens of similar web media companies were suddenly in play for CEOs looking to take their company to the next level. Within a few days of Randy's appointment as CEO, internet rival Google bought Youtube for $1.65 billion. A year earlier, eBay bought Skype for $2.6 billion and Microsoft had just recently invested $240 million into Facebook, giving it a $15 billion valuation. None of these companies were profitable, but they all shared one very important asset: Eyeballs. Lots and lots and lots and lots of eyeballs. Eyeballs that visited frequently, stuck around for several minutes and clicked lots of ads. And there was no denying that Bebo definitely had millions of loyal and active eyeballs. On March 13, 2008, AOL announced to the world that it was acquiring Bebo.com for $850 million in cash. In the announcement, Randy Falco proclaimed that this acquisition would be a "game changer" that would put AOL "squarely in the leading position of social media". The $850 million price was determined using roughly the same model that Rupert Murdoch used when he acquired Myspace. When Newscorp bought Myspace, they paid around $26 for each of the social network's 18 million users. $850 million for Bebo's 40 million users equated to $21.25 per user. A relative bargain. At the time of the sale, Michael and Xochi Birch still owned 70% of Bebo. That meant they EACH took home a whopping $300 million in cash. The remaining 30% belonged to a number of early employees and investors. Unfortunately, the Bebo/AOL honeymoon did not last long. Over the next five years, Facebook's popularity exploded. As Myspace floundered, Facebook grabbed market share and soon dominated the social networking world. Like Myspace, the mismanaged Bebo just couldn't compete with Facebook and traffic quickly plummeted. Randy Falco was fired almost exactly one year to the day of the Bebo announcement. 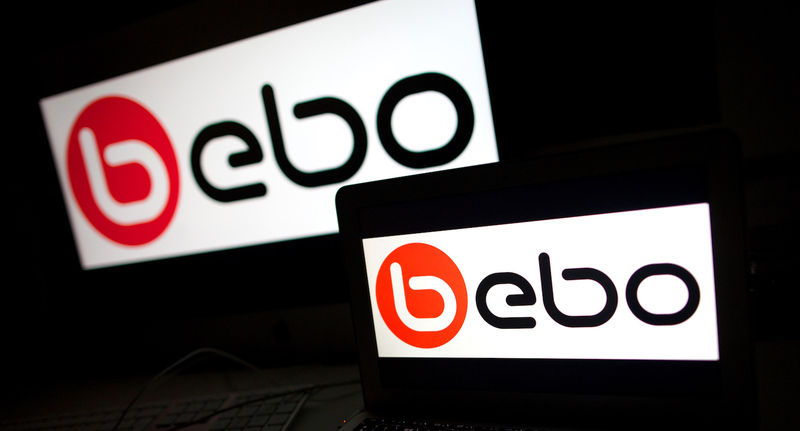 Another year later, in June 2010, AOL sold Bebo to a private equity firm for under $10 million. That's a loss of $840 million in two years. Ouch. The private equity firm, Criterion Capital Partners, attempted to revive the company but it was too little, too late. In May 2013, Bebo filed for bankruptcy. Most people assumed this would be the final nail in the coffin for Bebo, until July 1, 2013 when the original founders Michael and Xochi Birch announced they were buying their baby back for just $1 million. In his announcement, Michael Birch exclaimed: "Can we actually re-invent it? Who knows, but it will be fun trying…". Keep in mind, at this point Michael and Xochi are still up $599 million. Talk about playing with house money! How do we get this same deal for CelebrityNetWorth??? Michael and Xochi Birch are an IT couple who co-founded several companies since 1999, most notable being the social networking website Bebo. Nike, Walmart, In-N-Out, Dell, Ralph Lauren, Tommy Hilfiger – these are just a few of the iconic American companies and brands that will be inherited by the next generation of moguls and tycoons.